Radio remains the most efficient information tool in crisis situations because of its ability to reach a large number of people in a short time. On World Radio Day (13 Februaru), which in 2016 focuses on “radio in emergency situations”, Caroline Vuillemin, Director of Operations at Fondation Hirondelle (Switzerland), talks about the role of radio especially in fragile States. It is in these countries that there is the most urgent need for independent media that promote good citizenship, and it is in these countries that establishing them is most difficult. Fondation Hirondelle has been working at this for 20 years, throughout the world. Almost all its projects focus on radio. If you want to reach the maximum number of people especially in countries where transport, which is needed to distribute the written press, is deficient and where the electricity supply is problematic, radio remains the most accessible media platform. This is even moretrue in crisis situations where populations are forced to move or to flee. Radio is also a channel for spoken news and information which doesn’t require literacy, which allows it to reach – in different languages – a much wider audience than the written media, including social networks. In comparison with social media, radio has another big advantage: its users are anonymous, which is not at all the case for users of the Internet. And we know that in many countries operators are obliged to supply details of their users to the government. In terms of cost, it is a form of media which does not require heavy investments. Nowadays you can go reporting with a recorder and a portable computer, and that is enough to edit the programme on the spot. Broadcasting has also become easier thanks to digital technology. You don’t need a whole team of cameramen, lighting technicians, presenters and so on to produce a quality report. That gives radio a lot of flexibility and capacity to react quickly. You have said that one of the advantages of radio is to address people in their own language. In how many languages are the programmes that you have created or supported broadcast? We adapt to the demographic reality of the country concerned. Right now we have nine operations worldwide, of which one is a website in English and French covering transitional justice throughout the world JusticeInfo.Net and eight are radio stations which broadcast in a total of some 20 languages. To give you an example, Studio Tamani in Mali produces daily news in five languages: Bambara, French, Peulh, Sonrhaï and Tamasheq. In 2000, we launched Radio Ndeke Luka, in the Central African Republic in French and Sango. That reflects the linguistic reality of the country. All the CAR’s 3.5 million people speak Sango and there are no linguistic divides, unlike in the Democratic Republic of Congo (DRC), for example, where Lingala and Swahili mark their own “territory” in the west and east of the country. In the DRC, Radio Okapi d also broadcasts in three other languages: French, Kikongo et Tshiluba. But it was in Liberia with Star Radio ethat we broadcast in the most languages, 17 to be precise! We thought listeners might find that a bit over the top, but not at all. Each language had its own broadcast schedule and that worked very well, helping to set the daily schedule of listeners who knew at what time they would tune in to Star Radio. Since Liberians all speak several languages, that also allowed them to compare the programmes and reassure themselves that our programmes were exactly the same in all languages. That of course adds to our credibility. Because one of our fundamental values is professionalism. What are you other principles? Honesty, serving the people, respect for diversity. These values are enshrined in our Charter and are reflected in the make-up of our editorial teams, which include men and women of different ages and of different ethnic origins if the country is multi-ethnic. As for journalistic principles, I stress that we provide news and information, not “messages”, that is, we provide reliable facts for people to make up their own minds, rather than telling them what they should think. Our media do not express opinions. They are independent and not subject to pressure from anybody. Since we work in conflict and post-conflict countries, our editorial policy is based on promoting dialogue and respect for human rights, contributing to the rebuilding of societies and listening to the vital needs of the population. Our news and information priorities are based on these same criteria. find journalists who are good enough? There are good journalists in every country. What is rarer is good conditions for them to carry out their work. In State media, journalists often work under restrictions, whilst in the private media there also are various constraints. That prevents them from developing professionally. In the independent media that we support and create, it is local journalists who are in charge of producing news and information. In fact we do sometimes encounter problems. For example, in January this year we launched Studio Kalangou in Niger. We produce new bulletins, civic education programmes and a big debate programme which are broadcast by a network of partner radios throughout the country. The programmes are broadcast in French, Hausa and Zarma. We also want to produce them in Peulh and Tamashek, but for the moment we have not managed to find people with the necessary expertise in these two languages. This reflects the country’s reality: access to education and work in the North is more restricted than in other regions of the country. With regard to the supervision of our local teams, if we cannot find the right people locally we call on experts from outside, for example from Radio France, Radio Suisse romande (Swiss francophone radio), Radio Canada or RTBF (Belgian state broadcaster), to mention only French-speaking countries. Over the years we have developed a network that also enables us to call on Senegalese, Congolese or Ivorian experts. What counts is not their nationality but their expertise. We require them to do coaching, continuous training and transfer to the whole team the principles of editorial rigour, so that in a few years the journalists of today can become the editors of tomorrow. It is thanks to this approach that our teams in the CAR and DRC are now led by locals. But we have to admit that training media directors and managers takes a lot of time. To fill these posts, editorial skills are not enough. They need to know how to manage a company and the mechanisms of development aid, to ensure the survival of the media outlet. Do you provide management training for locals? We held training courses in Switzerland and France, but it became evident that the reality of their countries was too far removed from the countries where the training was delivered. These courses certainly opened new perspectives for the trainees, which is very important, but the knowhow acquired could not be easily transferred to their contexts. We realized that it would be more effective to train them on the spot, with the constraints and realities that are their own, such as security, generating revenue and also the importance of tradition. I am talking, for example, about certain societies where it is not “acceptable” for the representative of one social group to give orders to the representative of another social group that is considered “superior”. Obviously, that sets training back a bit, and it is not in a training course in Switzerland that we are going to tackle such issues. I must admit that our results are mixed on training of managers. 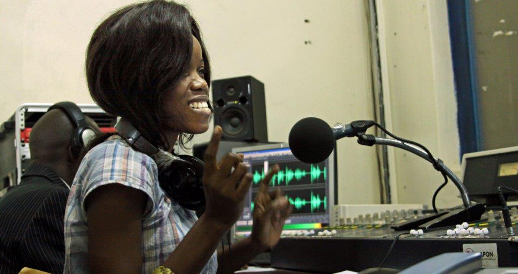 One experience was Star Radio in Liberia. It was set up in 1997, at the time of the presidential elections that were won by Charles Taylor. In 2000, he ordered the shutdown of the radio station. The journalists lost their jobs, but were mostly reemployed in other local media. When Ellen Johnson Sirleaf was elected in 2005, the ban was lifted and we relaunched the radio with the idea of creating a media business under local ownership. Between 2005 and 2008, we set up all the different things needed for sustainability: a legal entity that owned the radio, a Board, an advertising department. In 2008 we saw that the Board was not very solid and that the advertising department was only bringing in 20% of the budget needed. The Liberians let us know that we could now let them run their radio. Unfortunately, in 2010, Star Radio had emptied its coffers and had to close its doors. How can you make a radio sustainable in an unstable environment where it is nevertheless the most needed by the population? Training managers would no doubt be easier in a stable environment. I have already talked about the DRC and CAR where the teams are led by locals. In the case of Radio Ndeke Luka, the deep political crisis that has hit the country since 2013 almost caused it to shut down. But this radio station gained more listeners between 2000 and 2012, twice as many more than all the other local and international radios in the CAR! A year before the crisis, its advertising department was raising 30% of its operational costs. There are times in life when you think about saving your own skin before that of your radio. The Board did not live up to its responsibilities, whereas the management team, which kept the radio going and faced the roadblocks under fire, has been psychologically weakened by the trauma. Responsibility for running a radio under such conditions is very heavy. I went to see them this January and I understood that they were at the end of their tether. They could not see the light at the end of the tunnel. We do not know what the attitude of the next government will be towards Radio Ndeke Luka. How are your relations with national authorities in crisis zones? We always give priority to being transparent. We say publicly what we aim to do, that is provide factual, verified news and information, and we do what we say we are going to do. But we depend on official authorization to be able to broadcast in a country. In some cases, such as Radio Okapi in the DRC, we work with the UN, and it is the UN peacekeeping mission that signs agreements with the national authorities. In such cases, our strategy is to work with existing media. We produce programmes at Studio Hirondelle in Conakry and broadcast them through a network of rural radios plus private radios in the capital. In Mali, we have requested broadcasting rights and in the meantime we partner with existing radio stations that share our values. The media environment has changed a lot in the past 20 years. When Fondation Hirondelle started, there was a need to create radio stations from scratch. Now there are independent radios just about everywhere and it is possible to create partnerships with them. This is an approach which is becoming more and more common. What are the advantages of partnering with UN radios? There are advantages for the UN missions as well as for us. I will give you an example. The UN peacekeeping mission in the DRC wanted to create a radio to unify the country. It should be the “radio of all Congolese” and not the “radio of the United Nations”. They needed media programming that would appeal to a wide audience and which went beyond the normal UN radio framework for broadcasting news about its mission. We brought our expertise: creating a team that could work in several languages, designing an editorial policy that fit the situation, building a network that covers the whole country. And so Radio Okapi was born. But without the UN logistics, telecommunications and security apparatus, we would not have been able to do anything. Radio Okapi is considered a big success. Why is that? We completely succeeded in applying the principles and values of a broad-based radio station with wide appeal. This radio with, for example, its daily debate programme, has become a platform for dialogue in a divided country. Back in 2002, the fact that people in Kinshasa and Bukavu could hear the same thing at the same moment on the radio – whereas the country had been physically divided for years – was in itself a unifying factor. We knew that however divided people were they could be brought together through a national, independent radio station. We knew the airwaves could have a real impact on reunification, even before the peace process and elections. Okapi is the proof of this. C'est avant tout le taux d'écoute. Si les gens nous écoutent, c'est qu'on leur apporte quelque chose, sinon ils ne gaspilleraient pas leur temps... et leurs piles. Les sondages d'audience montrent de nos programmes se situent dans le trio de tête dans les pays où nous sommes présents. Ceci pour les études quantitatives de l'impact. Mais après, se pose de la question de savoir si nos programmes changent quelque chose. Sachant, encore une fois, que nous ne sommes pas là pour leur dire ce qu'il faut faire. Pour cela, nous faisons des études qualitatives avec des groupes cibles, constitués de 10 à 12 personnes. Ce sont des groupes d'hommes ou de femmes, d'auditeurs ou de non-auditeurs, de ruraux ou d'urbains, etc. Globalement la réponse que nous recevons est que ces gens nous écoutent parce qu'ils perçoivent l'information que nous diffusons comme indépendante et pertinente. Pour nous, c'est primordial, car cela signifie que ces personnes sont susceptibles de faire les bons choix, de se projeter dans l'avenir, de gérer leur quotidien, à partir d'informations qu'elles ont reçues. Autre résultat de ces enquêtes: nous apprenons que les émissions de débat et de dialogue sont particulièrement appréciées par la population, parce qu'elles lui permettent de participer activement aux programmes et non pas d'écouter seulement les ministres et autres personnalités importantes s'exprimer sur les ondes. Pour ce qui est de l'impact à long terme, il n'est pas aisé de le mesurer. On peut se demander, par exemple, pourquoi après 13 ans d'existence de Radio Okapi, il y toujours autant de violence et d'instabilité dans l'est du Congo. Ou bien, 15 de Radio Ndeke Luka, et le pays bascule de nouveau dans le chaos en 2014… Mais l'on sait que ces situations ne sont pas déclenchées uniquement par l'information que les gens reçoivent par les médias. Alors, comment mesurer l'impact ? Une équipe de chercheurs américaine propose de lancer une étude sur l'impact du Studio Kalangou, au Niger. Comme le studio vient seulement d'être mis sur pied, l'équipe pourrait suivre son évolution au fil du temps, sur une période de trois ans, au terme de laquelle nous aurions des éléments d'analyse sur l'impact de ce programme. Quelle était la motivation première du Studio Kalangou ? Les élections de février 2016? La société au Niger est traversée par diverses tensions. Il y a des tensions générationnelles : plus de 50% de la population a moins de 20 ans et le pouvoir est déconnecté de ces jeunes qui, par ailleurs, manquent d'éducation et de perspectives. Il y a également des tensions liées au dérèglement climatique, et s'il n'y a pas de tensions confessionnelles à proprement parler, il y a une radicalisation de l'islam. Dans ce contexte, il n'y avait pas de média qui s'adressait à l'ensemble de la population. C'est la raison pour laquelle nous souhaitions implanter un studio de production dans le pays, appelé à diffuser ses programmes via un réseau de radios partenaires sur l'ensemble du territoire. Ce sont plutôt les donateurs qui ont insisté pour que le studio soit opérationnel pour les élections de février 2016. Qui sont les donateurs et quel est le coût de l'opération? En partant de rien, c'est-à-dire monter un studio de production, créer une équipe de 20 journalistes, les former, créer un réseau de correspondants, installer la technique de réception et de diffusion du signal dans les radios partenaires, identifier un rédacteur en chef et formateur, embaucher des techniciens, l'opération coûte environ 1 million d'euros par an, sur les 24 premiers mois du projet. Le gouvernement suisse a assuré le budget pour le lancement et l'Union européenne, le budget de fonctionnement. Nous travaillons sur trois projets actuellement, dans des pays qui vivent une crise politique ou sécuritaire. Nous avons fait une mission d'évaluation en Ukraine, par exemple, où nous avons constaté que ce qui devrait être une information médiatique était devenue un conflit de différentes propagandes. L'idée et de travailler avec des télévisions, des radios et des sites web, sur des programmes thématiques - décentralisation, agriculture et autres réalités du pays – que ces média incluraient dans leurs grilles. Nous avons un projet qui est déjà bien avancé en Birmanie aussi, où nous abordons la problématique du processus de paix et des minorités qui ne reçoivent pas d'information indépendante et dans leurs langues. Un des grands changements qui s'opèrent actuellement en Birmanie, c'est celui qui consiste à donner plus de pouvoir aux parlementaires. Nous avons proposé un programme qui ouvre les portes du parlement aux médias, ce qui n'est pas le cas pour le moment. Le parlement a donné son accord et nous attendons actuellement la réponse des donateurs. Le troisième projet sur lequel nous avançons lentement est celui de la Libye. Il est autrement plus complexe que les deux autres. Dans le pays il y a un vrai besoin d'information indépendante. Quasiment tous les médias, qui émettent à l'intérieur du pays ou de l'extérieur, sont partisans. Il n'y a aucune plate-forme où différents points de vue sont partagés et discutés. Nous sommes en train d'élaborer une réponse médiatique et de chercher des partenaires, autrement dit, nous ne sommes qu'au stade préliminaire. Directrice des opérations à la Fondation Hirondelle, Caroline Vuillemin depuis 2008, a commencé sa carrière à la Fondation, en 2003, dans le cadre du projet Radio Okapi (RDC), une expérience qui l'a marquée et a renforcé sa détermination de travailler sur le développement de projets de médias indépendants et citoyens dans des situation de conflit et de post-conflit. Actuellement, elle dirige huit opérations de radio : au Mali (Studio Tamani), en Guinée (Studio Hirondelle Guinée), en Côte d’Ivoire (Studio Mozaik), au Niger (Studio Kalangou), en République centrafricaine (Radio Ndeke Luka), en RDC (Hirondelle Communication), en Tunisie (appui à la Radio Tunisienne) et au Burkina Faso (appui à la RTB).